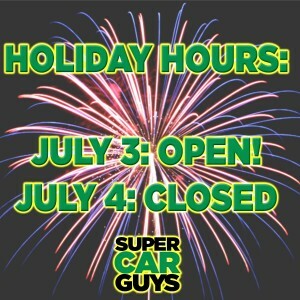 Just a reminder–we’ll be OPEN on Friday, July 3rd, but CLOSED on the 4th to celebrate with our friends, families, and community. Of course, we’ll be open for business for normal operation on Monday. Have a safe and fun celebration!